First Encountered: 15.3 "Quest for the Lost Magma-Forge"
Description: "The inky black humanoid form is outlined with fiery red, and fire burns where its eyes would be were it a living person." 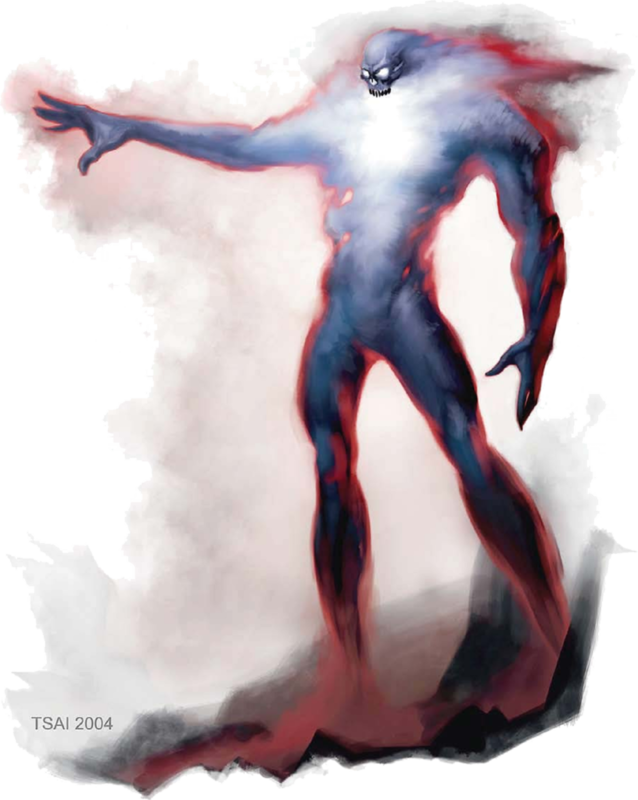 Information: The incorporeal spirit of a powerful humanoid consigned to death in the lava furnaces below Sharn, a forgewraith is one of the most fearsome undead creatures found in the city. Some forgewraiths are actually formed from multiple weaker spirits rather than a single powerful soul. They hate the living and long to see them consumed in a fiery inferno. In battle, a forgewraith typically attacks first with its "fireball" ability, hoping to immolate average people in the area, then targets a strong opponent with its fiery ray.